Light rail lines: 63 km. Light rail: 12 March 1987 - today. 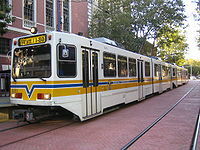 Simons, V. "Light rail's value in Gold Rush City", Tramways & Urban Transit, March 2013 (76: 903), p.93-97. 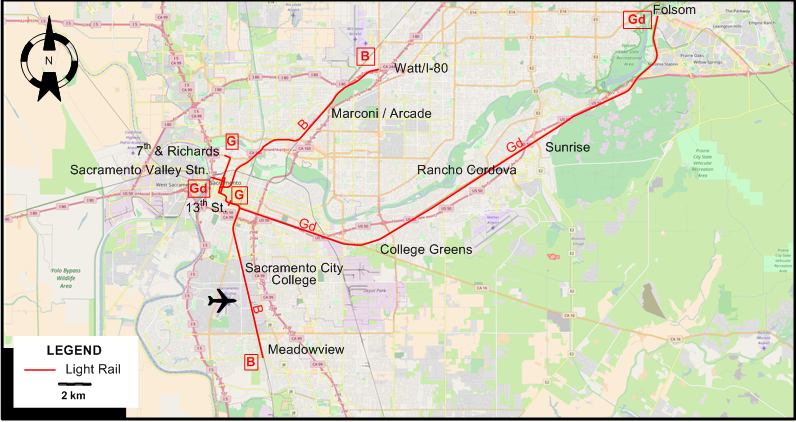 Simons, V. "Sacramento developments", Tramways & Urban Transit, June 2017 (80: 954), p.229. Taplin, M.R. "The Sacramento Light Rail story", Modern Tramway & Light Rail Transit, Nov. 1987 (50: 599), p.376-381.